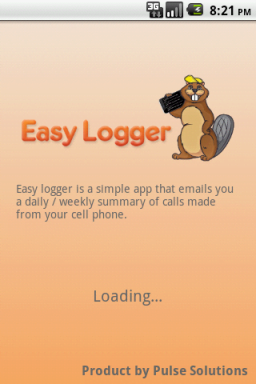 Home > Blog > Mobile > Easy Logger – Mobile app thats logs texts and calls from any Android phone! The Easy Logger is a nifty little app that helps you keep a tab on your phone bills and texting bills. Tired of your phone balance running low and wondering where it all went, or just plain want to keep a track on everything? Now you can keep tabs on it all! 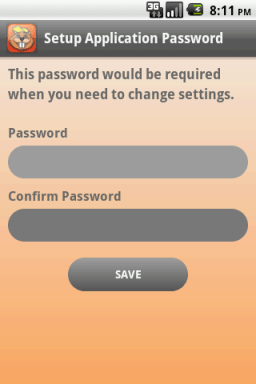 Easy Logger is free app on Google play store where it can be downloaded onto any android phone 2.2 and up. The app sends a summary of all your calls and texts to your email on a daily or weekly basis—you get to choose. The app provides a systematic way of monitoring your phone call log and text messages, as well as a practical approach to keeping a tab on all call expenses, overseeing incoming and outgoing messages, archiving text messages, monitoring kids text messages, and monitoring kids call logs. How does the app work? Easy Logger has both a caller log and a text log feature. The call logger module compiles a neat list of all calls made including caller names, call time, duration, and names saved in the address book. The text logger module compiles a list of all the texts that have been exchanged between the sender and receiver, the text content, date, and time. The app also has a specialised feature that allows you to select the exact time that you wish for the report to be sent each day or week. Missed calls and unanswered calls are also logged into the summary. This Google App was created using Eclipse Helios to support the app on phones that are Android 2.2 and above. The interface was intentionally kept sparse for easy usage as well as to keep it devoid of ads and unnecessary options. During the creation of the app care was taken to ensure that the bandwidth usage is minimal, each report sent out being lower than 3 kbs in size. In essence, the app is a simple design and practical asset for tracking all phone calls made and all texts exchanged through sending out a well formatted summary at the end of the day. Pulse Easy Logger has been a hit worldwide and has enjoyed 10,000 downloads since its creation. Click here us today for your app building needs.